$2,054.00 To see our low price, add this item to your cart. You can always remove it later. Daniel Defense's MK18 Pistol is a variation of the MK18 SBR. 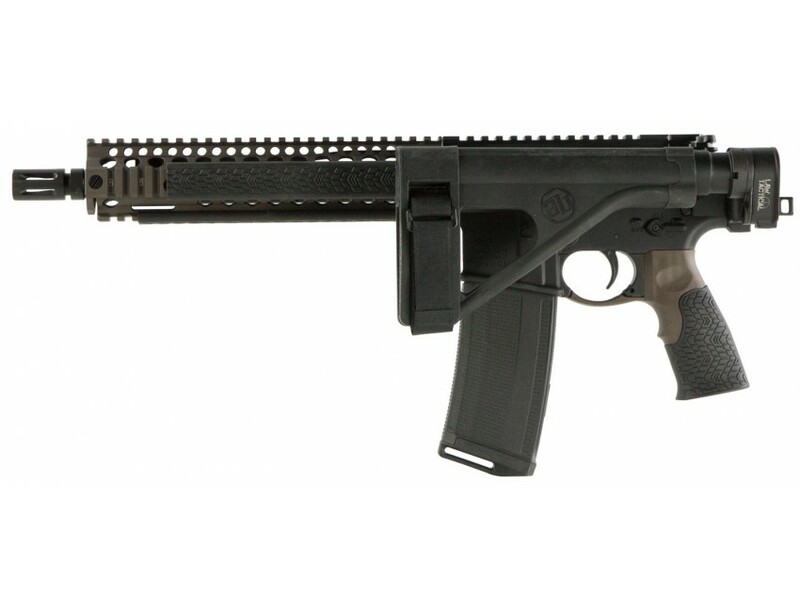 It is equipped with a SB-Tactical SOB Pistol Stabilizing Brace and a Daniel Defense pistol grip with an integral trigger guard and soft touch overmolding. The direct impingement, carbine length, low profile gas block is CNC machined from 4140 hardened steel with Mil-Spec heavy phosphate coating. 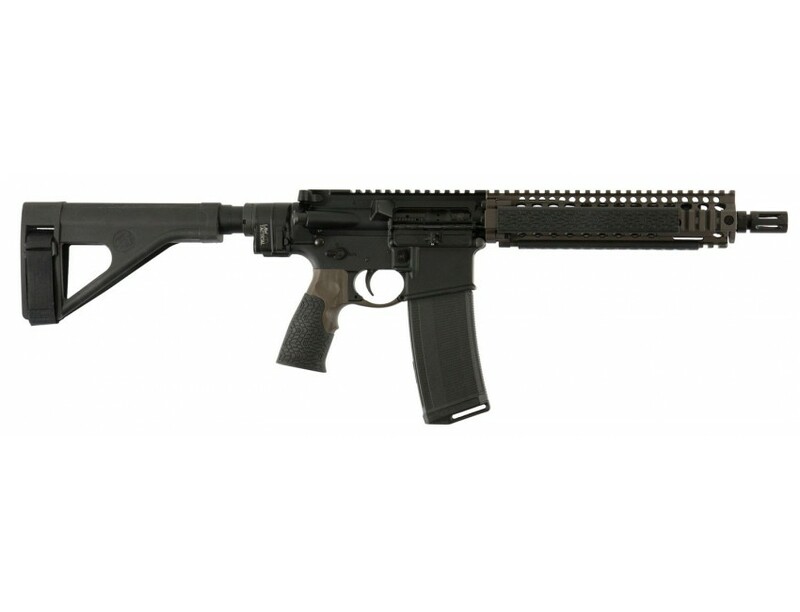 Its 10.3" barrel is constructed of chrome moly vanadium steel that is chrome lined with a heavy phosphate coating and a nitride finished flash suppressor. 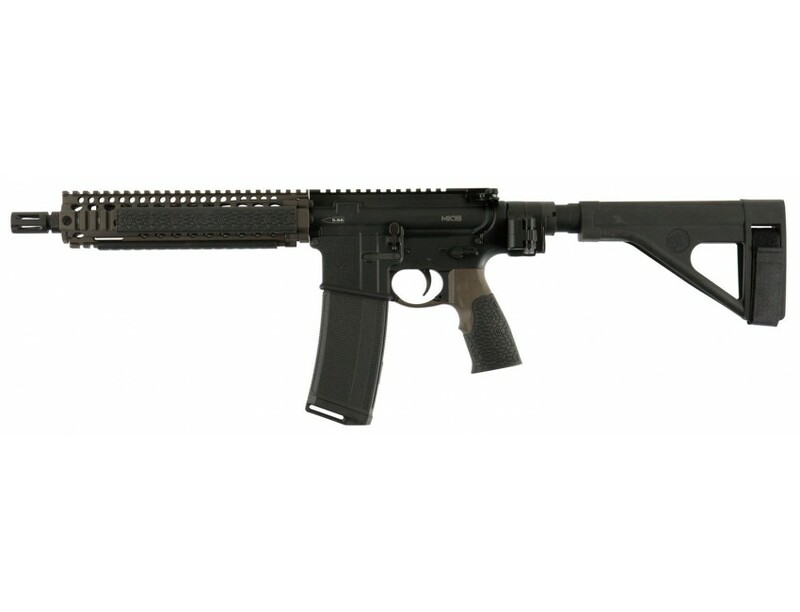 The Mil-Spec upper and lower receivers are CNC machined of 7075-T6 aluminum, with a hard coat anodized finish. The MK18 pistol's handguard is also CNC machined from 6061-T6 aluminum, with a hard coat anodized finish and rail panels made from heat resistant Santoprene.This model has a FDE metal finish and a LAW Tactical Gen3M folding stock adapter.